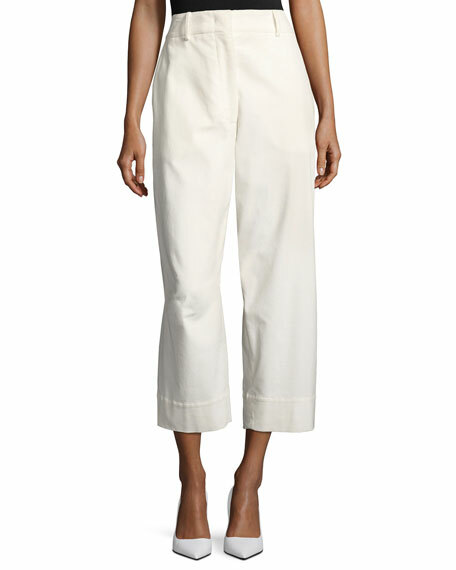 Hems cropped above the ankles. After winning the Moet Hennessy Fashion Award in 1998, Charlier went on to work for Celine, Lanvin, and Cacharel before starting his own namesake label in 2012. The collection embodies an expressive, unbound aesthetic with precise tailoring and bold coloring. For in-store inquiries, use sku #2186745. 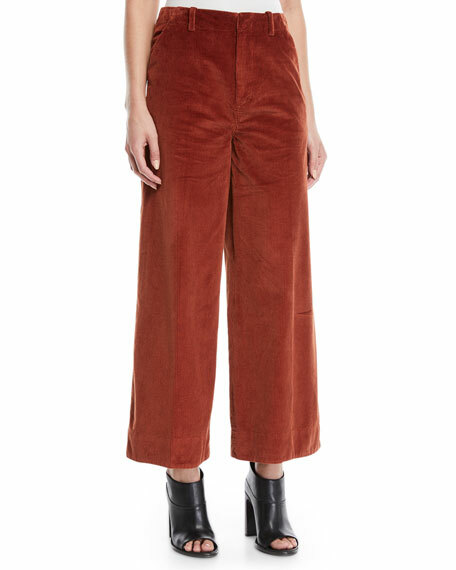 Elizabeth and James "Oakley" corduroy pants with mitered back. High-rise; belt loops. Flat zip front. Side slip pockets; back patch pockets. Semi-fitted. Flared legs. Cropped length. Cotton. Imported of Italian materials. 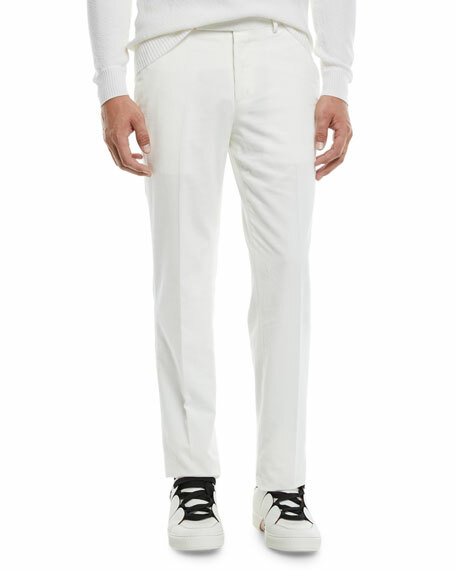 Ermenegildo Zegna corduroy trousers. Five-pocket style. Flat front. Straight legs slightly taper at ankles. Button/zip fly; belt loops. Cotton. Imported. 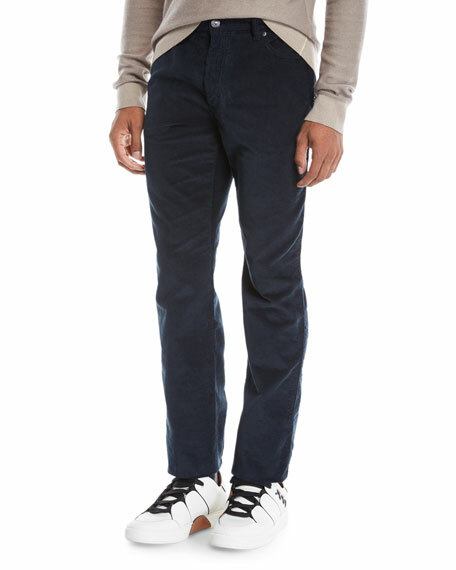 Rag & Bone Standard Issue "Fit 2" corduroy pants. Approx. 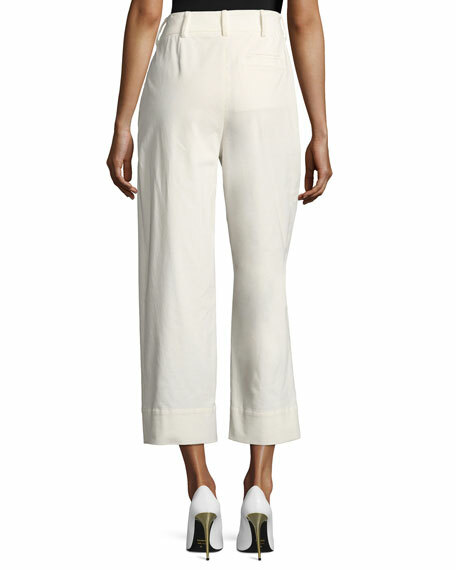 measurements: 9.5" rise; 34" inseam; 13.5" leg opening. Five-pocket style. Mid rise. 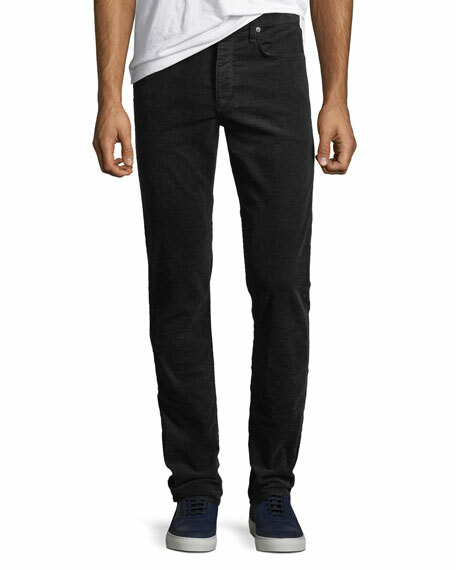 Relaxed, tapered leg. Button/zip fly; belt loops. Cotton/spandex. Made in USA of imported material.